11th-grader goes from math struggles to getting 100% on math tests. 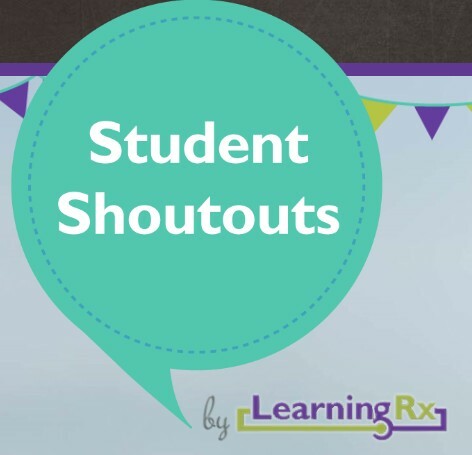 One-on-one brain training company LearningRx is celebrating the incredible success of 11th-grader Delaney, a Charlottesville student who enrolled in MathRx one-on-one brain training at her local LearningRx center. Delaney’s father was concerned that she didn’t understand math concepts and would take hours to do her homework. She would count on her fingers instead of doing mental math. Her grades were slipping and she was intimidated by math tests. Delaney wants to go to college to study meteorology, but her dad was afraid she wouldn’t be able to handle the required math. He had heard about LearningRx and decided to take action. After completing the MathRx program, Delaney saw big improvements in her long-term memory. She no longer counts on her fingers because she can now do multi-step math equations in her head! Math tests no longer intimidate her. Delaney now makes 100s on her math quizzes and her homework doesn’t take as long because she understands the concepts. She recently took the SATs and says she stayed calm and “was able to think logically” and not stress over the questions. Delaney’s confidence has soared and she says she actually likes math now. A career in meteorology is definitely in her future! LearningRx, headquartered in Colorado Springs, Colorado, is the largest one-on-one brain training organization in the world. With 80 Centers in the U.S. and locations in 40 countries around the globe, LearningRx has helped more than 95,000 individuals and families sharpen their cognitive skills to help them think faster, learn easier, and perform better. Their on-site programs partner every client with a personal brain trainer to keep clients engaged, accountable, and on-task—a key advantage over online-only brain exercises. Their pioneering methods have been used in clinical settings for 35 years and have been verified as beneficial in peer-reviewed research papers and journals.